Today’s Tip on Tuesday can be applied to all your social media channels. 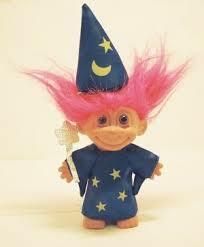 Quite simply today’s tip is about trolls. Sadly social media trolls are not as cute as the little guy above, who we like a LOT! And we say mute them on Twitter or unfollow them on Facebook! Muting essential does the same as blocking but it can be easily reversed if you change your mind. Trolls want a response. They will soon get bored and move on if you don’t engage with them. That isn’t to say you shouldn’t block and/or someone who is becoming increasingly abusive. However for a more diplomatic action, which can be important with a work brand, muting is the way to go! This entry was posted in Tips on Tuesday and tagged Facebook, followers, Google+, Instagram, Pinterest, social media, Tips On Tuesday, Trolls, Twitter, YouTube on August 16, 2016 by admin.